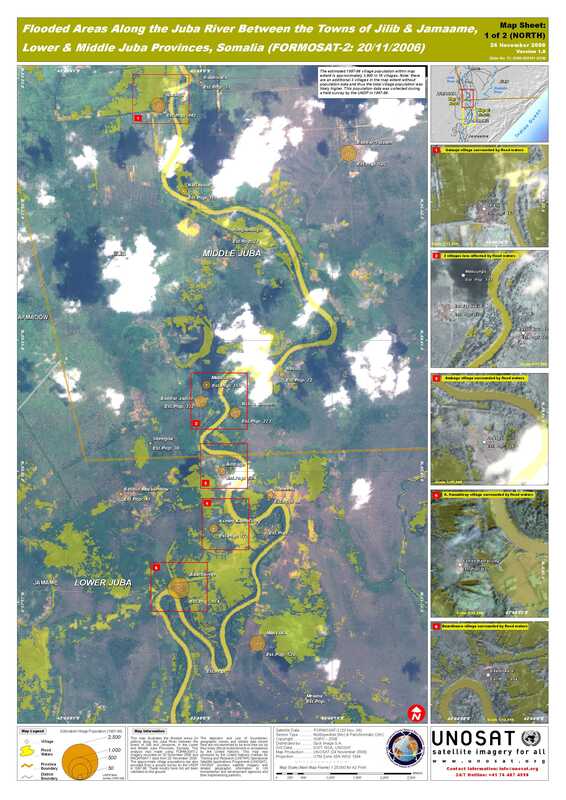 This map illustrates the flooded areas (in yellow) along the Juba River between the towns of Jilib and Jamaame, in the Lower and Middle Juba Provinces, Somalia. This analysis was made using FORMOSAT-2 imagery recorded on 20 November 2006 and RADARSAT-1 data from 20 November 2006. The approximate village populations are also provided from a ground survey by the UNDP in 1997-98. These results have not yet been validated on the ground.